This entry was posted in Faith, Poetry and tagged Christ, Darkness, Depression, Faith, Freedom, God, Grace, Hope, Inspiration, Jesus, Love, Mercy, Peace, Poetry, Praise, Pray, Prayer, Stress on October 7, 2018 by waynemali. This entry was posted in Faith, Poetry and tagged Christ, Darkness, Depression, Faith, Fear, Freedom, God, Grace, Hope, Inspiration, Jesus, Love, Mercy, Peace, Poetry, Praise, Pray, Prayer, Stress on September 16, 2018 by waynemali. This entry was posted in Faith, Poetry and tagged Christ, Depression, Faith, Fear, Freedom, God, Grace, Hope, Inspiration, Jesus, Love, Mercy, Pain, Peace, Poetry, Praise, Pray, Prayer, Stress on August 12, 2018 by waynemali. This entry was posted in Faith, Poetry and tagged Christ, Darkness, Depression, Faith, Fear, Freedom, God, Grace, Hope, Inspiration, Jesus, Love, Mercy, Pain, Peace, Poetry, Praise, Pray, Prayer, Stress on August 12, 2018 by waynemali. And I Still Can’t Find The Cat! I had great intentions for Thursday, I had booked the day off work to get a bit of work done for the Architects and also planned to do a few things around the house before friends from my Church Connect group came around later in the evening. I needed to get stuck into some drawings before I go away next weekend, so I planned to get up fairly early and get quite a few hours in and then sort out my front room. That was the plan anyway. I woke early Thursday morning with my early alarm, I switched it off and intended to sleep in for while as I didn’t have to be at work at 7.30am. It was just after 4.15 in the morning, then I heard running water, like a tap dripping. I couldn’t remember hearing that the evening before, so I got up to investigate. A few weeks ago I finally left the settee in the front room and moved into the downstairs rear bedroom. It was the first time in over seven years that I have slept in a bed in this house. My room has a hall between it and the kitchen, I looked out of my door into the kitchen and there I saw it, the kitchen and hall floor were swimming in water! The sound of the dripping was coming from the kitchen ceiling, water was falling onto the worktops and the tiled floors, it was dripping down the walls, it was everywhere. I ran through the kitchen and straight upstairs to the bathroom above, wondering if I had left anything running, I couldn’t remember doing so, but that was where the water was coming from. When I got to the bathroom, it was swimming in water too. The tiled floor was deep in water and it seemed to be coming from the toilet. I couldn’t make out where, until I saw the big crack down the rear corner of the cistern. The water had been flooding out and obviously the float valve just kept letting it try to refill. There was water everywhere. I grabbed all the towels I could find and put them down on the floor around the toilet and ran back downstairs to find the stopcock and switch off the water. I put a few towels down on the kitchen floor to mop up what was there and waited for the water to stop dripping through the ceiling. I rang my Dad just before 8am and explained what had happened, He used to fit kitchens and bathrooms, so he came around with Mum to take a look. We tied the valve up in the closed position so it would stop trying to refill the toilet, that way I could switch the water back on. I went to see if I could just replace the cistern, but the chances of getting one to fit where small, it seems I may need to replace the whole toilet, so for now that can wait until I get back to work next week and I can order a new one through work and get someone to fit it. We cleaned and mopped up as much of the water as possible, but that was my morning gone, the plan for the day had flown out the window and I was shattered. I opened up the kitchen and bathroom windows as wide as possible to air both rooms, hoping they would dry out quicker, then I went back to bed for a while, to catch up on the sleep I missed that morning. I gave up on the idea of getting any work done or getting things done around the house, by the time I woke again, I just wasn’t in the right frame of mind. Mid afternoon I was laying on my bed, just watching the TV, when I thought that I heard something in the kitchen, I got up and went to look. That’s when I saw a small cat in the hall, I don’t have a cat, I’m not a big cat lover. The back door was locked so it didn’t get in there, I shouted at it to get out and gave chase, but I don’t know where it went, it was faster than I was, I couldn’t see it downstairs, I heard a noise upstairs, so I ran up there, closing the door to the stairs behind me, it wasn’t up there either, by now I am starting wonder if I am seeing things. I still can’t find that cat and I haven’t seen it in the street the last few days since, it’s a small cat from about ten doors down from me, I see it most days in the front gardens, but not since! I am hoping that the noise I heard was the cat jumping back out the bathroom window onto the roof of my bedroom below, I think that is where it came in from and hopefully went back out of. I can live without using that toilet for a while, I still have a toilet downstairs, so that’s not a problem, it’s just that I could do without the expense at the moment, I am taking the kids away next week, although my Mum and Dad have paid for the caravan, I still need spending money for us all. I still need a few things in my bedroom too, I don’t have much furniture, what I do have friends and family have donated to me. At one point on Thursday I was beginning to think why me, why just as I thing I am getting somewhere and moving on, something like this happens to set me back. Early last year I heard God’s voice say to me that “the seven years of drought will soon be over and trust me that prosperity will come”, just as for the first time in seven years I feel I am really moving on from the past situations, little things like this come against me. But I put this aside and refuse to be beaten down by it, it’s a setback, yes, but it’s not the end, I will get past it and will continue to trust in God’s promise that prosperity will come. I have come too far to let a broken toilet and flooded rooms stop me, it’s all cleaned up now, I can get a replacement toilet cheaply through work and someone to fit, all will be fine. After all the initial feeling of why me, it all seemed to fade away later that evening when my friends were around, I actually found it quite funny and obviously the toilet jokes were plenty. So I refuse to see this as a setback, it’s just an obstacle, but I will get over it and move on. But I still can’t find the cat!!!!! This entry was posted in Faith, Ramblings and tagged Cats, Christ, Faith, Flood, Freedom, Friends, Give Me Amazing Grace, God, Grace, Hope, Jackson Waters, Jesus, Love, Mercy, Stress on July 29, 2017 by waynemali. How did I find my way here? Is this where death begins? Is this real or just in my mind? How is one released from here? Or does one become darkness’s tree? I can’t be destined to spend all my days? Are my fears and anguish creating this forest? Is this darkness the shadows of my depression? Does my crying heart create the rain? How can I wash away this dirt? Can you hear the whisper of the wind? Can you hear my voice among the leaves? This entry was posted in Faith, Poetry and tagged Christ, Darkness, Depression, Despair, Faith, Fear, Forest, Freedom, God, Grace, Hope, Inspiration, Jesus, Love, Mercy, Pain, Peace, Poetry, Praise, Pray, Prayer, Rain, Stress on July 10, 2017 by waynemali. In a week where suicide has been highlighted in the media once more, by the tragic death of Chris Cornell, I am ever thankful that I was saved by His hand. I pray for the family, friends and fellow band members of Chris. As with many his music through the last twenty years has been a part of my life and sadly another great talent has fallen to a problem that is so often just brushed under the carpet. Suicide and the thought of it is so real to so many people, both young and old, in my opinion it is the point where all hope has gone. Only one can replace that hope, only one can save those so lost, only the Father. Ask him to help you carry on. I used to fall, now I get back up. I don’t have to be afraid…. 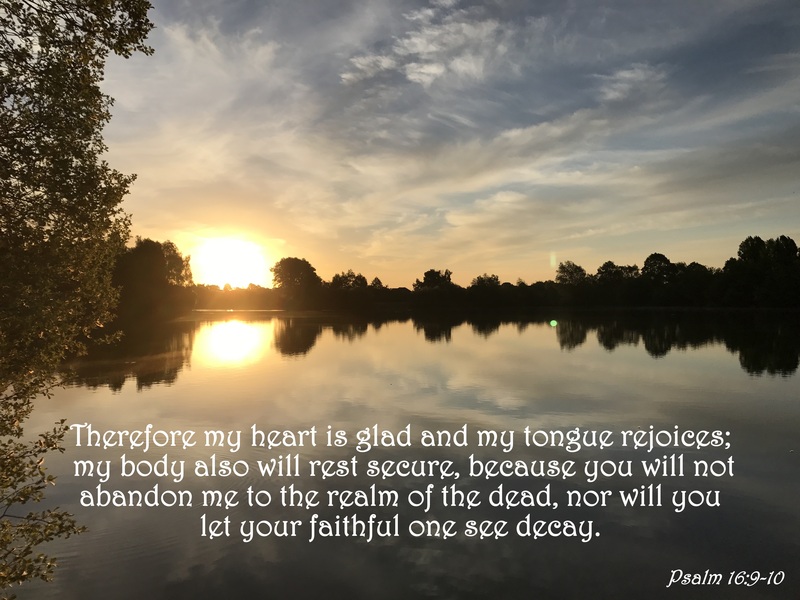 This entry was posted in Faith, Verse of the Day and tagged Bible Verse, Christ, Darkness, Depression, Faith, Fear, Freedom, God, Grace, Hope, Inspiration, Jesus, Love, Mercy, Peace, Praise, Pray, Prayer, Psalm 16:9-10, Stress, Suicide on May 21, 2017 by waynemali.